As a highly valued marketing consulting firm for the credit union industry, LemmonTree Marketing Group has been providing a layered approach to marketing strategy combining traditional, online and social media solutions focused on achieving results. Clients have benefitted with increased loan portfolios, balanced deposit portfolios and growing member business using our cost-efficient and effective solutions. By leveraging marketing layer by layer, we create the best steps for building a marketing flywheel that supports your goals and builds more business. Working with LemmonTree, you will find us presenting "refreshing new ideas" to market your products and services successfully to your target audience. And, as a client of our boutique consulting firm, you get more attention and friendly client service! Having assisted clients through good times and tough ones, we are uniquely qualified to focus marketing strategies and solutions to get the best results possible. Our key, highly experienced credit union experts work efficiently and effectively in your fast-paced industry. As a support team for success, we offer the insights, experience and solutions at a price that stretches every marketing dollar. Nicolette founded LemmonTree Marketing Group, a full-service marketing agency to provide strategic marketing solutions, database analysis, and market research solutions for clients nationwide. Her firm has continued to incorporate new technology and won numerous awards for creative work for clients including television commercials, corporate videos, web and online solutions, logo designs, and marketing campaigns. In 2003, she founded Credit Union Marketing University, a financial industry marketing education resource including webinar workshops, training and tools specifically related to successful marketing, business development, cross-selling and coaching for credit union professionals. 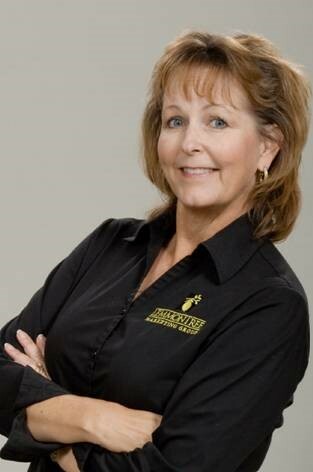 With a Master's Degree in Business Administration from Arizona State University (ASU), she served on the faculty of the University of Phoenix teaching undergraduate and graduate level marketing courses. With her experience in services marketing, sales, and advertising, she became a sought after speaker on financial-services marketing, Sales Coaching for Managers and Supervisors as well as personal development. Nicolette served on the marketing faculty of the Management Development Institute for the National Association of Federal Credit Unions (NAFCU) for over ten years. She also authored the book, Successful Product Development from Research to Results for the Credit Union Executive Society (CUES), served on the faculty of the CUES Executive Marketing Institute, and has sold hundreds of cross-selling training videos. Nicolette authored another book for the job-seekers market, Almost Famous: How to Market Yourself for Success. She has been recognized with these awards: Top 100 Small Businesses-Arizona by DiverstiyBusiness.com; 2002-2012, Top 50 Woman-Owned Businesses-Arizona, the Outstanding Alumni Service Award by the ASU Alumni Association, a nominee for Entrepreneur of the Year Award in Arizona, sponsored by Inc. Magazine and Ernst and Young; Top 50 Women Business Owners in Arizona by Today's Arizona Woman Success Magazine; and the Arizona State University Young Alumni Achievement Award. Nicolette has also served on many boards and committees for charitable, community, civic and professional organizations. Nicolette also applies new information, ideas and challenges to marketing strategy on the company blog, MyMarketingInsights.com. Denny is responsible for LemmonTree's market research, strategic planning and web site maintenance services as well as our web design, e-marketing and and MCIF database consulting services. Since 1999, he has worked with credit union clients on such projects as survey research, MCIF analysis, focus groups, and profitability studies. In 2003, he helped create the Credit Union Marketing University and serves on the faculty as well as manages the online programs. Denny also has conducted strategic planning retreats, organizational assessments and other management consulting and training services for clients. He also oversees all of the security and technology aspects of LemmonTree. He grew up in Illinois, attended Western Illinois University then transferred to Arizona State University where he received his Bachelor's Degree. He was awarded his Master's Degree in Management from Florida Institute of Technology. Denny joined LemmonTree after a distinguished career in the U.S. Army. As an Infantry Office, he had a number of command and staff assignments, mainly in Airborne Infantry units. He also served as a General Staff officer and as a contracting and project management officer. After his final assignment as an Inspector General, he retired as a Lieutenant Colonel.